Remember making an enclosed terrarium as a schoolkid, learning that a little bit of moisture inside would keep recycling and sustaining life just like on earth? This concept of water conservation and reuse is not necessarily a model for the way things are done these days. 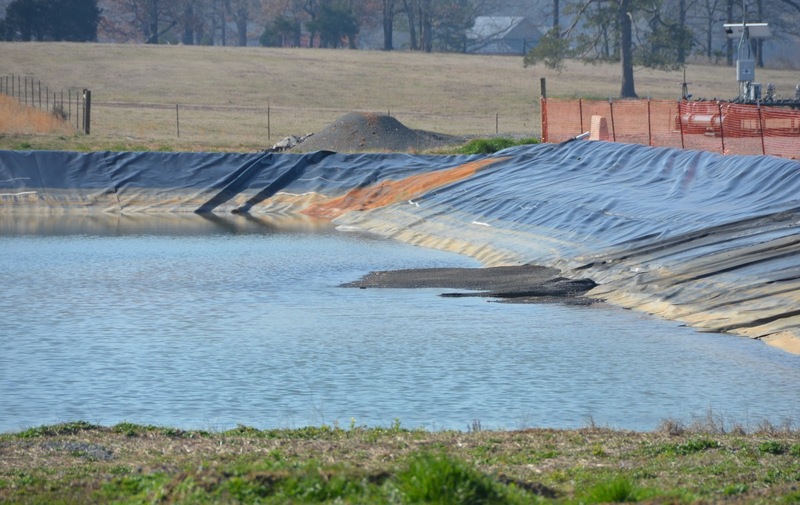 In the case of millions of gallons of water infused with industrial substances left over from hydraulic fracturing to obtain natural gas, government and industry in Arkansas are cooperating to very likely allow dumping into public waterways. In a little town called Bee Branch, Arkansas, a large facility, upon completion, is waiting to hold large quantities of so-called produced water from fracking, and to let that fluid overflow into a small tributary of the Arkansas River. The permit was pending in 2013. The permit says the water/chemical mixture would be treated and equipment at the facility would include a reverse osmosis system. Perhaps, per the name of the facility, fluids would mostly get recycled to be used again in the fracking process. Yet, local watchdog group ArkansasFracking.org is concerned that “filtering plants cannot clean the water enough to be released into waterways.” AF notes that when fracking fluid returns from deep wells, it might even have become radioactive. This is because hydraulic fracturing disturbs naturally occurring radioactive elements deep in the earth. April’s sister-in-law, Emily Lane, pointed out during the January 2013 public hearing on the permit that Cadron Creek is considered an Extraordinary Resource Water in the state of Arkansas and is the backup water supply for the city of Conway and its 50,000 residents. Emily Lane was one of several people who spoke out against the discharge permit. Her biggest concern is that clean water is too delicate a matter to trust industry policing itself. She told leaders at the hearing, “Finally, a facility like this should not be allowed to self-test and self-report, ADEQ should be conducting and/or overseeing the testing of these parameters, especially Chronic WET Tests.” Whole Effluent Toxicity tests measure wastewater’s effects on living organisms. The hearing was covered locally by the Van Buren County Democrat newspaper. What to do with the millions of gallons of industrial liquids pumped into and recovered out of each natural gas well has become a conundrum for those in Arkansas and many other states. The disposal of this wastewater in underground injection wells was stopped, at least temporarily, after a slew of earthquakes in the Fayetteville Shale area. There are the controversial “land farms” where wastewater has been spread on farmland. You might commonly see shallow, open pools of the wastewater stored in pastures around the area. And now, industry has a state permit to run this large storage facility where wastewater could either be recycled or treated and discharged into the creek. It would be the first such facility to operate in Arkansas. Southwestern Energy says about the handling of wastewater in general, on its website, “Our goal is to recycle as much water as possible,” and a spokesperson stresses that the company strives to comply with all regulations and reporting standards.